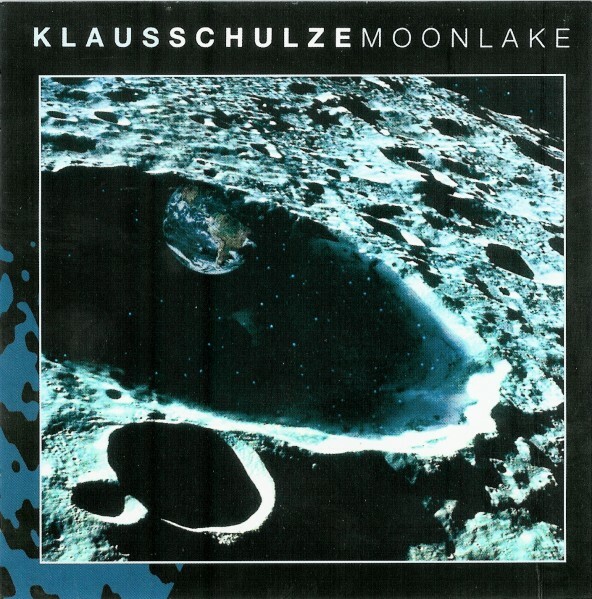 Moonlake is the latest Klaus Schulze release of new music, and a welcome breath of fresh air it is! The title is not a reference to the classic Schulze of Moondawn or “Crystal Lake,” but instead refers to his affection for Moon Lake (Mondsee) near Salzburg, Austria. In typical Schulze fashion, Moonlake contains four long rhythmic, pulsating electronic masterpieces: “Playmate in Paradise” (30:07), “Artemis in Jubileo” (17:29), “Same Thoughts Lion” (10:38), and “Mephisto” (15:23). The first two tracks are studio recordings and the other two, live recordings made in Poland on November 5, 2003. The studio tracks also mark the Klaus’ first use of his Mini-Moog in the studio. Moonlake ranks up there with some of the best music he has ever created, either in the studio or live. Don’t be intimated by the length of these compositions. The music is extremely interesting and listenable, and there are enough hidden surprises to keep you thirsting for more long after the music ends. “Playmate in Paradise” is exceptionally enjoyable with the added ethnic element of Thomas "Fiddle Michel" Kagermann’s voice. Klaus continues to innovate and Moonlake clearly demonstrates that moss does not grow under his feet. This is one highly recommended release.